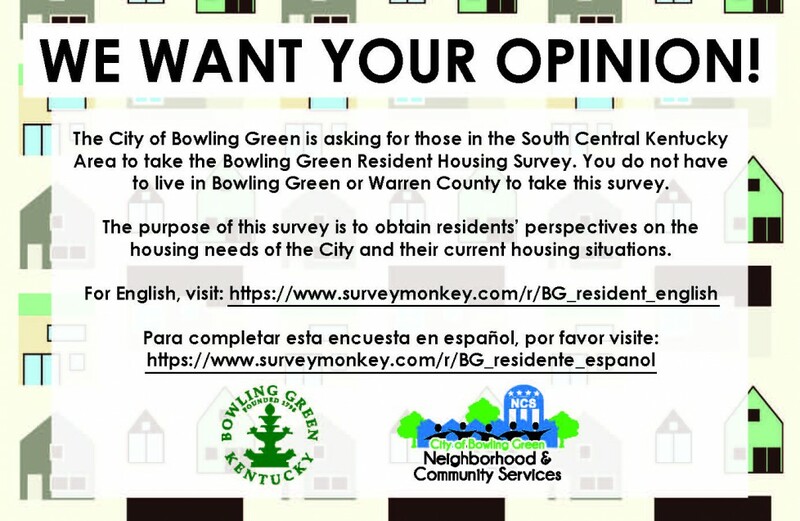 The City of Bowling Green is seeking opinions for our Housing Market Analysis.Please see the links below in English and Spanish. The City of Bowling Green is seeking opinions for our Housing Market Analysis. Please see the links below in English and Spanish. The survey is open through February 15th. Thank you!